President Cyril Ramaphosa decried the dirty street of Johannesburg townships. 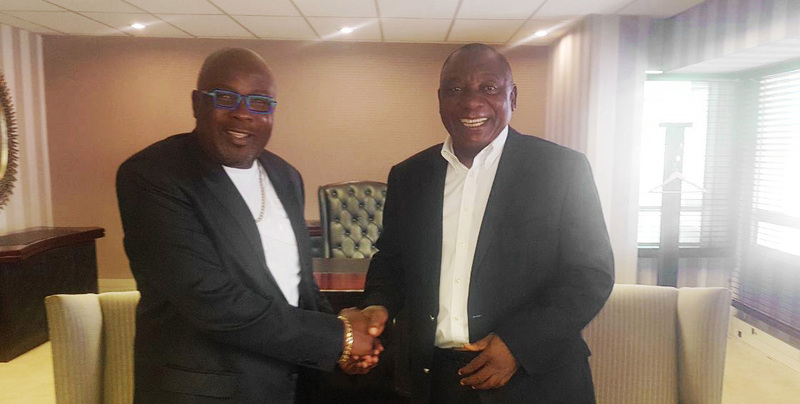 In his visit to Soweto in March, he called out for a cleaning campaign of which a Cosmo City based security company has already responded to. Base 5 Guard and community members during the Thuma Mina Cleaning Campaign. Local security company Base 5 Guard deployed its security force to Diepsloot, where they were joined by community members and the cleaning of the township resumed. 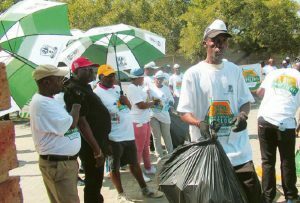 Base 5 Guard Public Relations Officer Khanyisile Nyembe said the campaign was named thumamina cleaning campaign, responding to the President’s call to clean the townships.“Our Managing Director Lucky Moshimane got a chance to meet with the President, at the Parliamentary Constituency Offi ce in Protea Glen. Th is was when Moshimane said, ‘Th uma Mina’ (meaning send me) and we started preparing for the campaign right away” added Nyembe. Base 5 Guard Managing Director Lucky Moshimane said, “Gone are the days where the government had to do everything for us, now as local people we need to help and make change in our own communities.”Curabitur vitae turpis eleifend metus mollis viverra. According to News24, the president said that the government will embark on a National cleaning campaign that will clean areas where people live. National cleaning campaigns have worked for other African countries like Rwanda, which is considered the cleanest country in the continent. Cosmo City local resident Bongeka Ndlela agrees with the President that the township is unclean and something needs to be done, but she disagrees with the idea of going out personally to clean the streets. “There are people who are hired to clean the streets, all I can say is that as residents we have to stop dumping anywhere,” Said Ndlela. She also urged local community leaders to provide more dustbins in the area, especially in public areas. Diepsloot resident Joseph Mokoena blames the lack of education for all the dirty streets. “I am very happy with the president’s call, but I think our people still need to be educated. 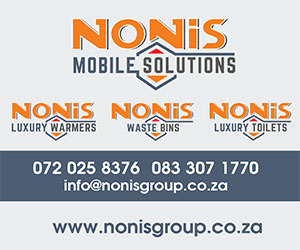 An open space in between homes is not a dumping area,” said Mokoena. He concluded by saying cleanliness is next to godliness, if this campaign can be taken seriously some hygiene related diseases can be avoided.